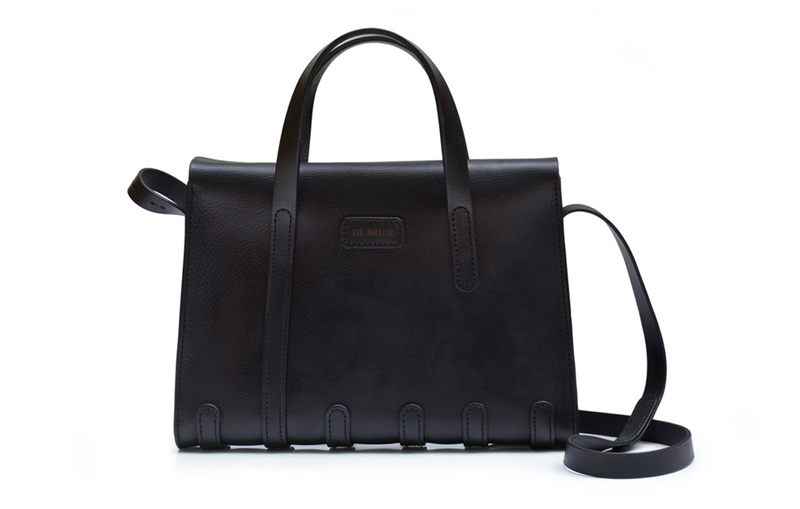 An elegant bag for everyday workplace essentials; the Work Bag is easily carried by your side. 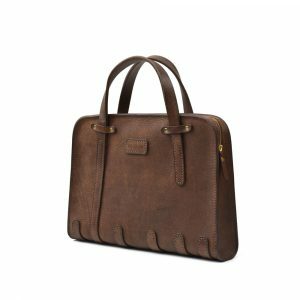 For ease of use during the day, overlapping top flaps offer a stylish, yet practical way to access documents. 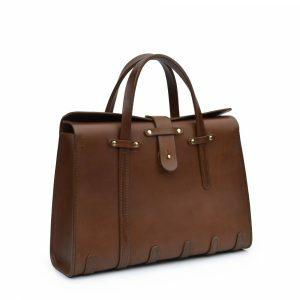 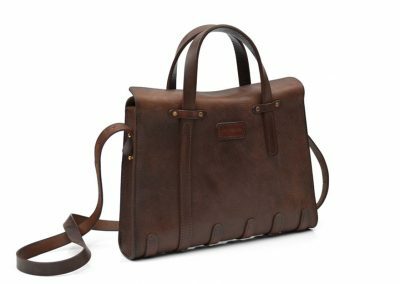 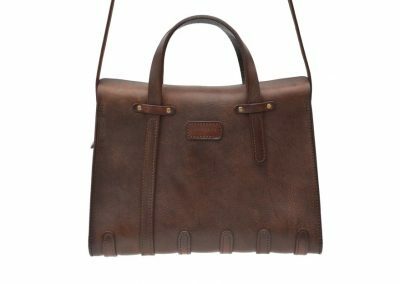 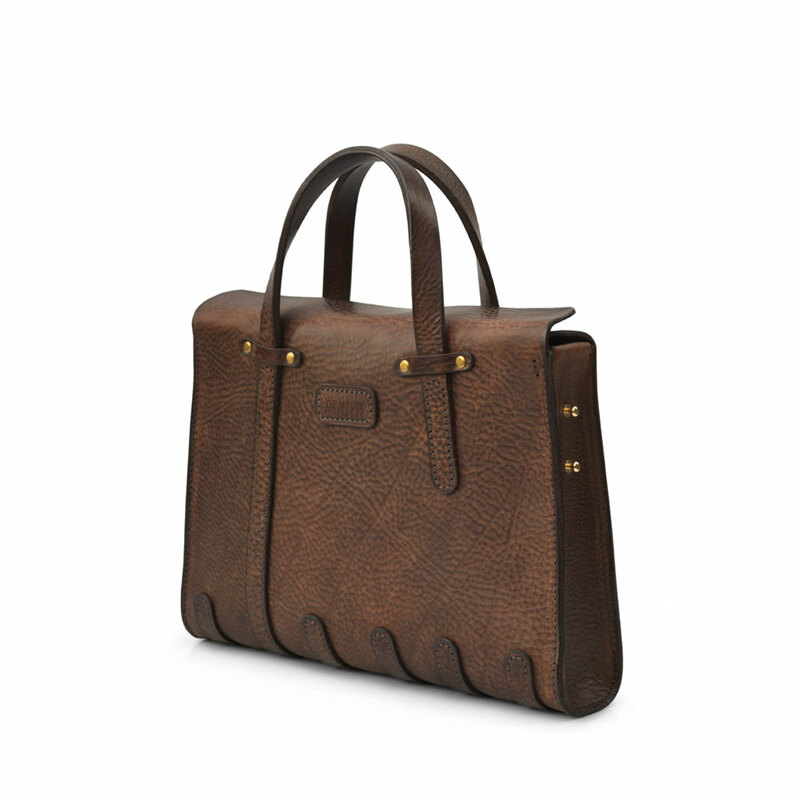 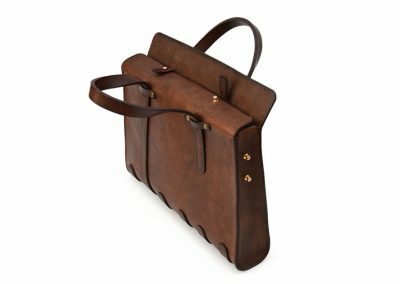 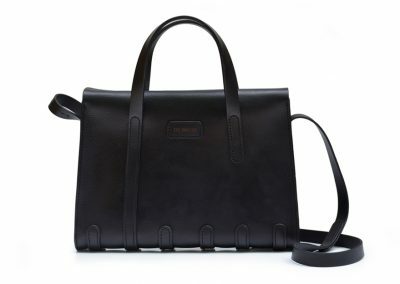 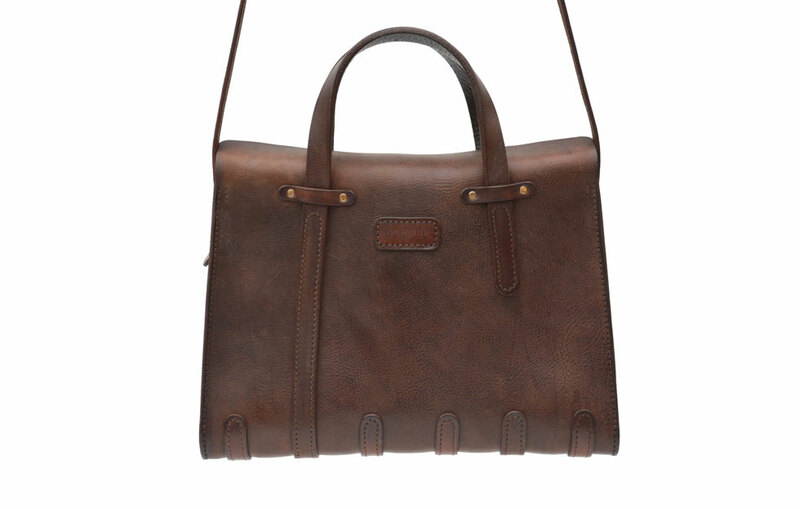 For the commute home, the inclusion of a removable shoulder strap make this bag the perfect travelling companion. 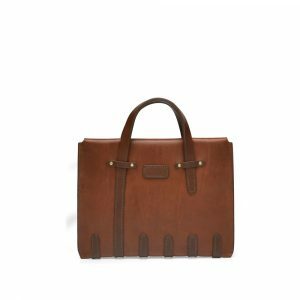 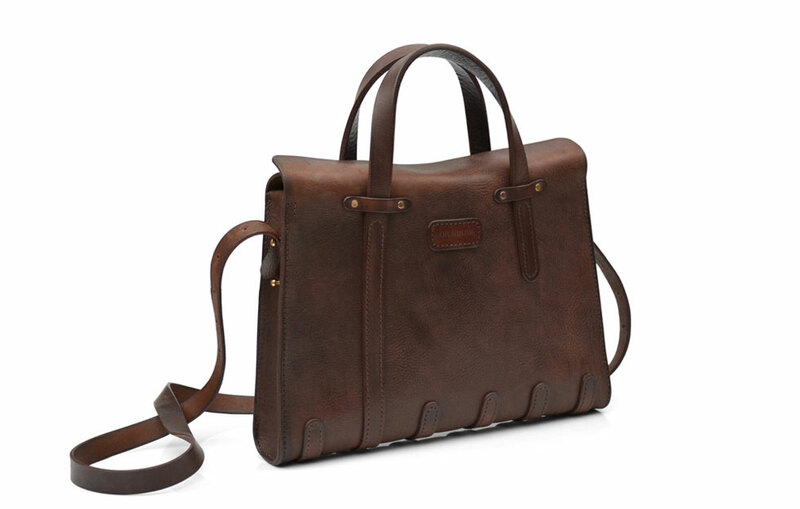 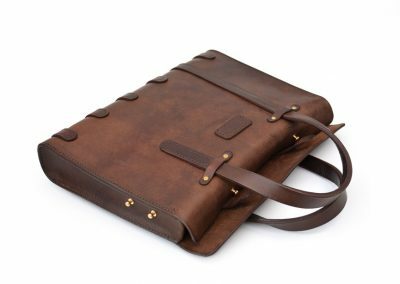 This refined carrier is a must have for anyone who wants quick and easy access to a laptop and important papers. 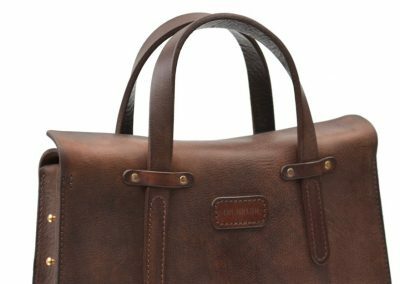 Perfectly proportioned, this streamlined design is built and handcrafted for lifelong functionality and strength. 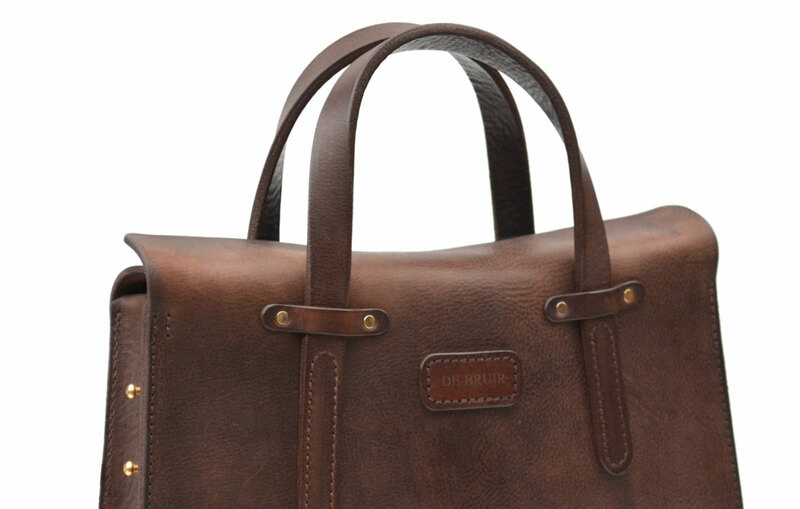 The classic leather exterior has a natural grain character. The short grip handles and the matching removable shoulder strap offer a versatility for the user. 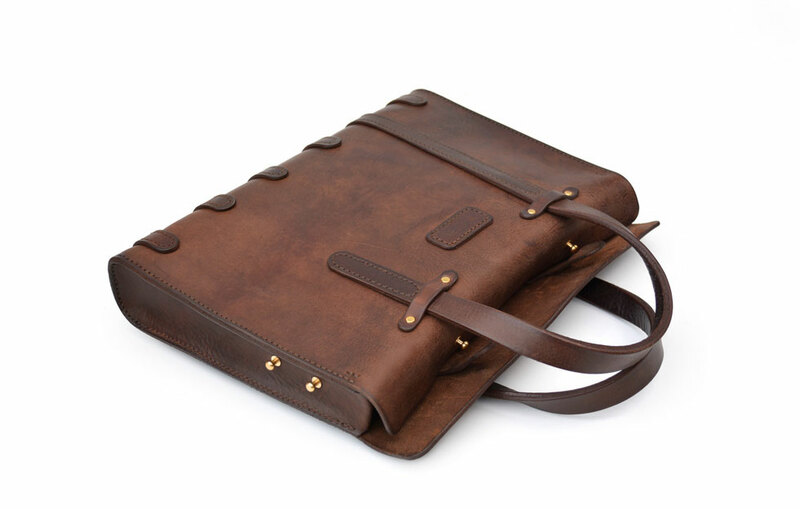 Medium Work bag accommodates a 13″ laptop, an iPad and A4 documents or portfolio.